It takes talent, drive, tenacity, and a whole lot of energy to be a successful entertainer. American singer, songwriter, record producer, dancer, and actor Shaffer Chimere Smith, better known as Ne-Yo, knew he'd need more of everything to co-host NBC's show "World of Dance" and drop a new album at the same time. 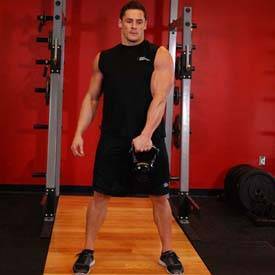 To help power him through, he turned to NFL athlete turned personal trainer Curtis Williams, the owner of Training C.A.M.P., to help him reach his goals. "Ne-Yo wanted to lose weight and lean out," Williams says, "He's lost about 30 pounds since we began six months ago. He's always testing his progress by how well he's able to do backflips. 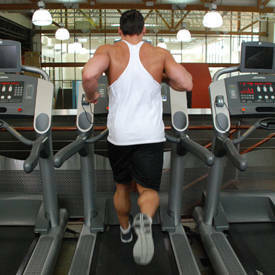 Sometimes he'll randomly bust out a flip in the middle of the gym." The benefits extend beyond weight loss. "Ne-Yo's had a shoulder and knee injury, and they typically swell during physical activity," says Williams. 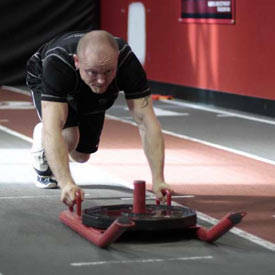 "But the prehab/rehab exercises we do have kept him pain free." Currently, Ne-Yo and Williams are focusing on strength and hypertrophy four days a week, with an added metabolic conditioning day. 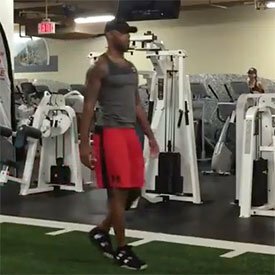 But even on days when strength is the focus, Williams incorporates sprints, shuffles, plyometrics, and other athletic drills to challenge Ne-Yo's core and improve his overall mobility. Lucky for you, Williams is happy to share one of his specific routines with you. 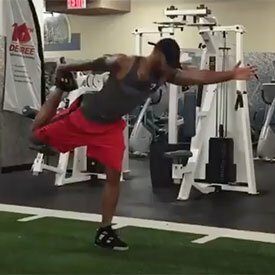 Williams has Ne-Yo prime his joints and get the blood pumpin' with a dynamic full-body warm-up. 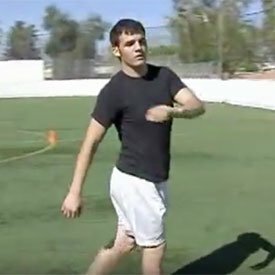 This includes dynamic stretches to take his major joints through a full range of motion and elevate his heart rate. 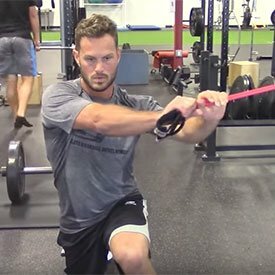 Do each of these exercises for 20 yards, then turn around and do them back to start. 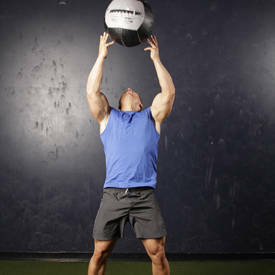 Do the entire circuit twice. Keep your rest periods as short as possible. 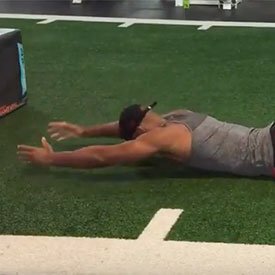 As a warm-up for the strength segment of the workout, Williams adds a series of exercises targeting the same muscle groups Ne-Yo will train later in the workout. 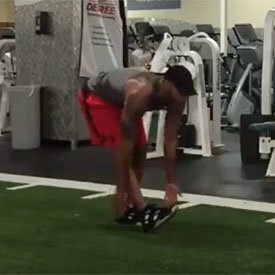 Inspired by his own football background, Williams puts Ne-Yo through speed training using resistance bands. 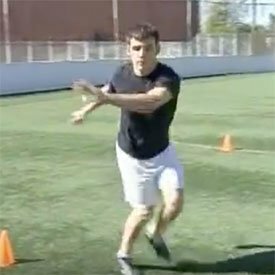 By adding bands to more traditional agility exercises, the entertainer must work against the resistance of the band, ultimately enhancing power and speed. This is fundamental to functional fitness, and it's particularly important to a performer like Ne-Yo, who has to work hard and move fast to keep his fans on their feet. 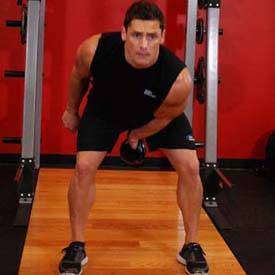 Williams doesn't hold back in this area, selecting exercises that target every muscle of the core, from the deep transverse abdominis to the obliques, shoulder girdle, and erector spinae. 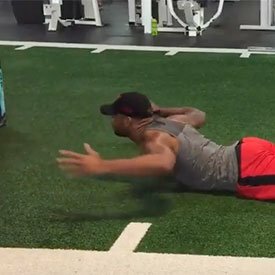 The following two strength circuits provide the meat of Ne-Yo's routine. 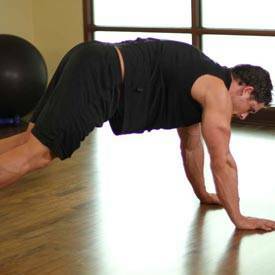 Perform each exercise back-to-back with as little rest in between as possible. 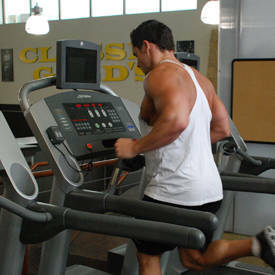 The first circuit consists of four rounds of exercises; the second circuit consists of three. Rest between circuits as needed. 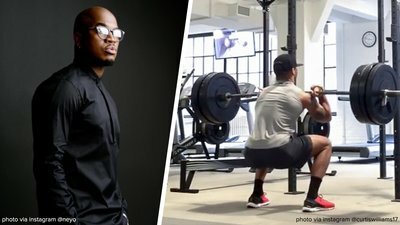 Ne-Yo's workout comes together in Williams's finisher—a killer metabolic scorcher guaranteed to leave even the fittest athletes gasping for breath. 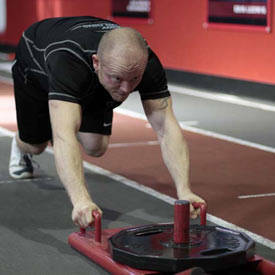 The final section won't take long: A minute or two is all it takes when you combine battle rope slams with burpees. 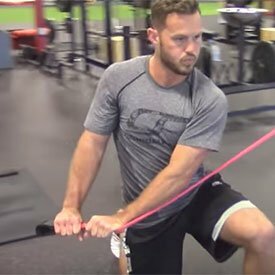 Battle rope ladder with burpees: Perform this series as fast as you can, switching back and forth between exercises without rest. 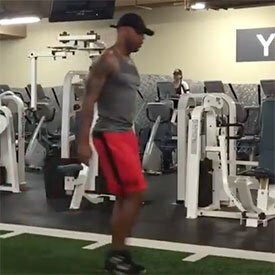 Once you go through this workout once or twice, you'll be an even bigger Ne-Yo fan; This man's got grit as well as style!